Scientists studying cave-dwelling crustaceans have determined that, as they evolved without eyes, their other senses improved to compensate for the lack of sight. In work, published in the current issue of BMC Neuroscience, researchers in the US and Germany examined the brains of three cave-dwelling crustaceans; Mictocarididae from Bermuda, Spelaeogriphacea from South Africa and Thermosbaenacea from Italy. What all three species have in common is that they are blind, and have only small stalks where their eyes used to be present. Without light, the creatures were forced to adjust, losing not only their eyes, but having major changes to their brain and nervous system also occurring. Enhanced adaptations such as longer antennae and an improved nervous system helped these creatures to obtain food or find mates as they swam or crawled through the caves. 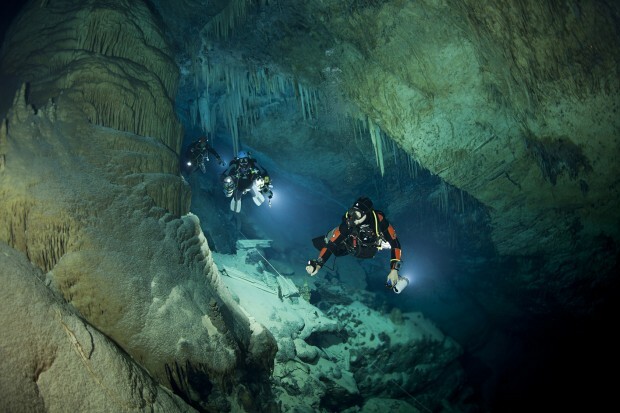 Even with no light in the caves, evolution continued to proceed as it always does – these creatures were able to adapt and survive in this totally dark environment, while life on the surface of the Earth changed radically. The project was funded by the German Science Foundation and assisted by the Bermuda Biodiversity Project.